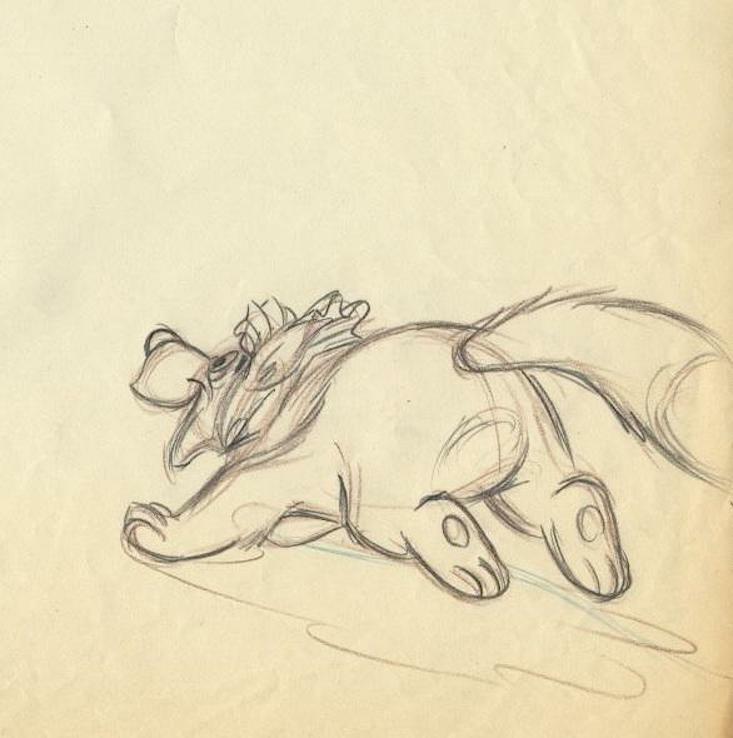 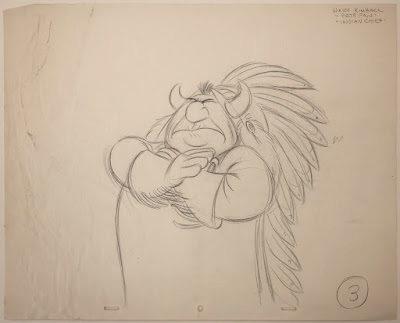 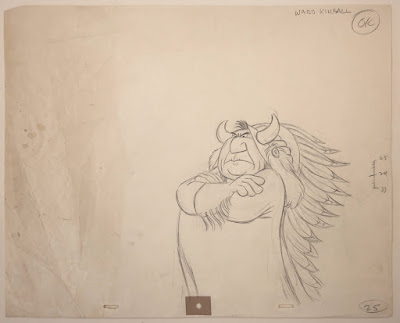 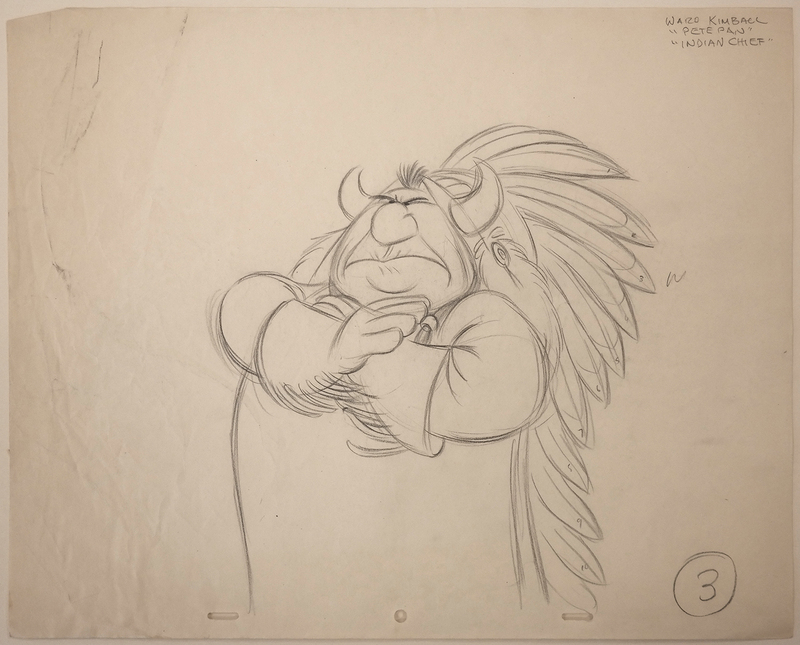 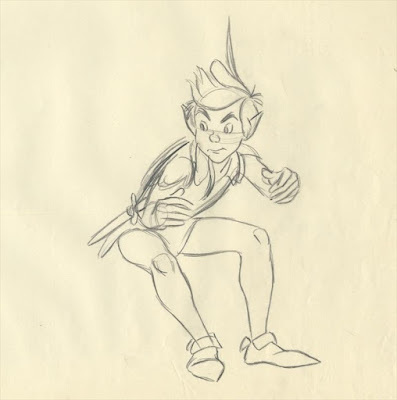 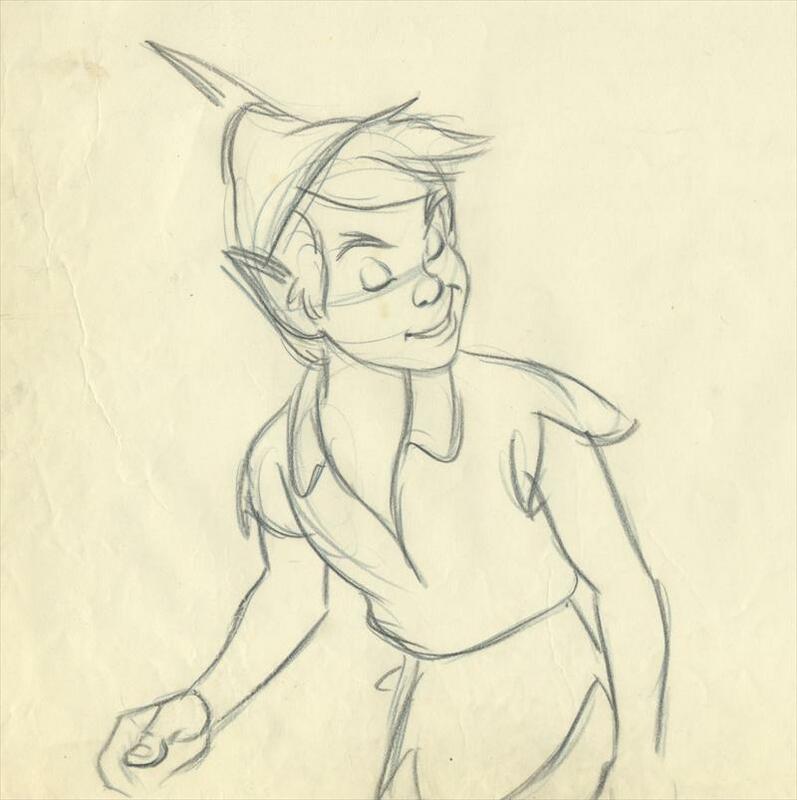 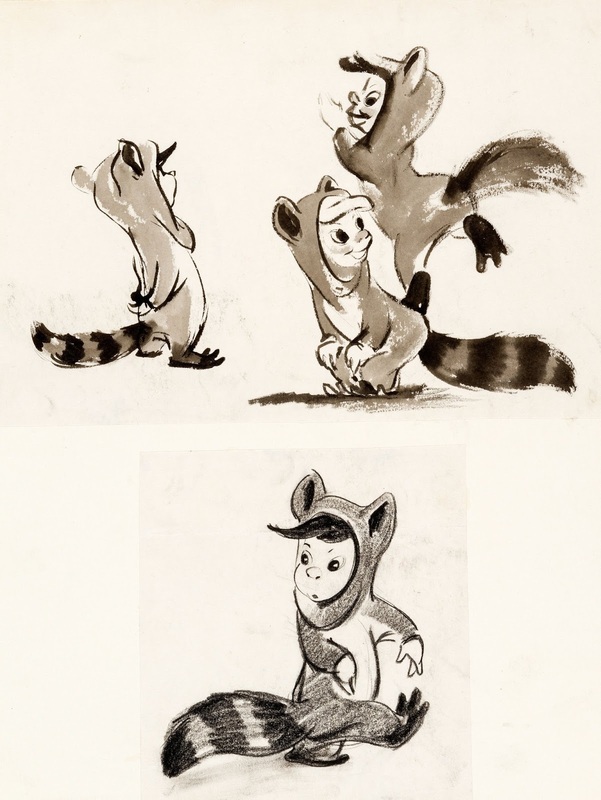 A selection of rough animation drawings from Disney's classic film Peter Pan. 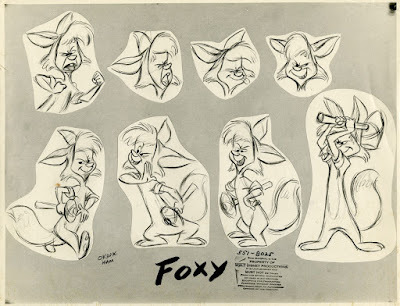 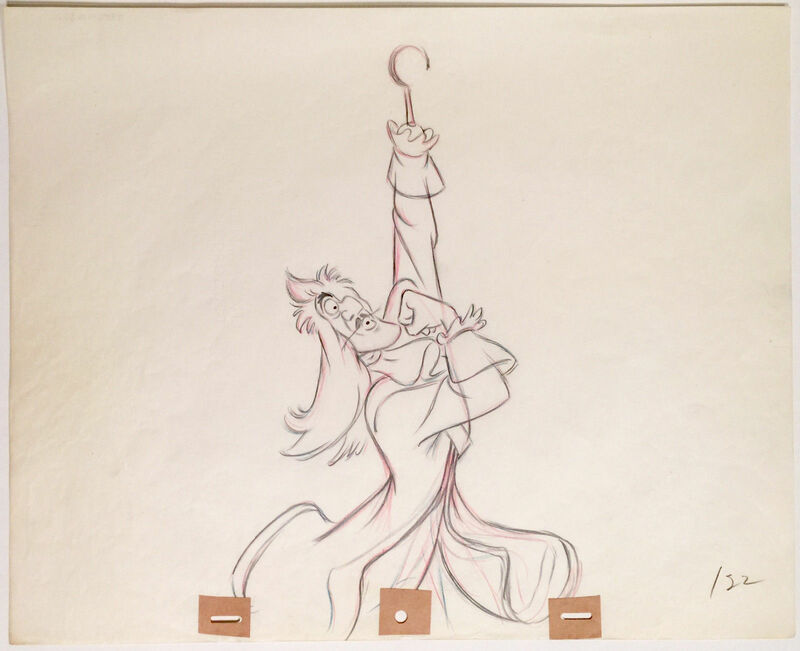 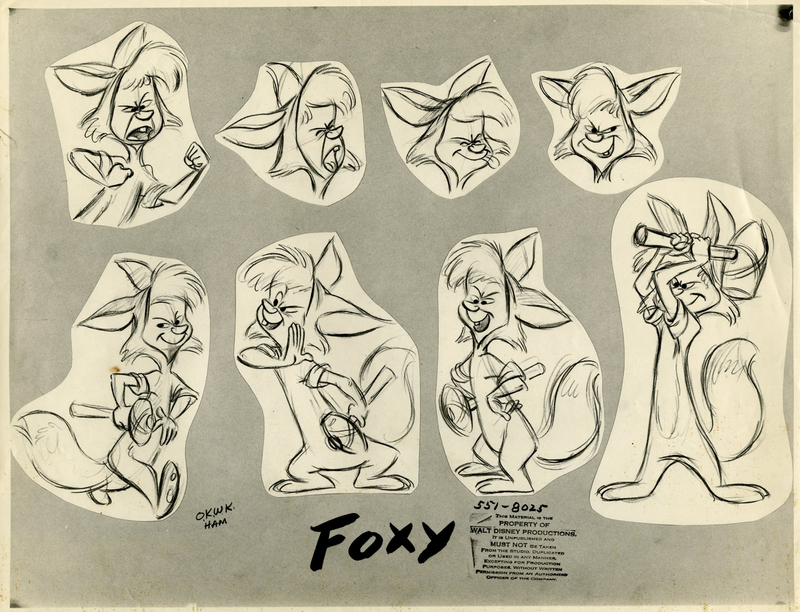 These Milt Kahl poses explain once again why Walt Disney needed to have Milt do the title character. 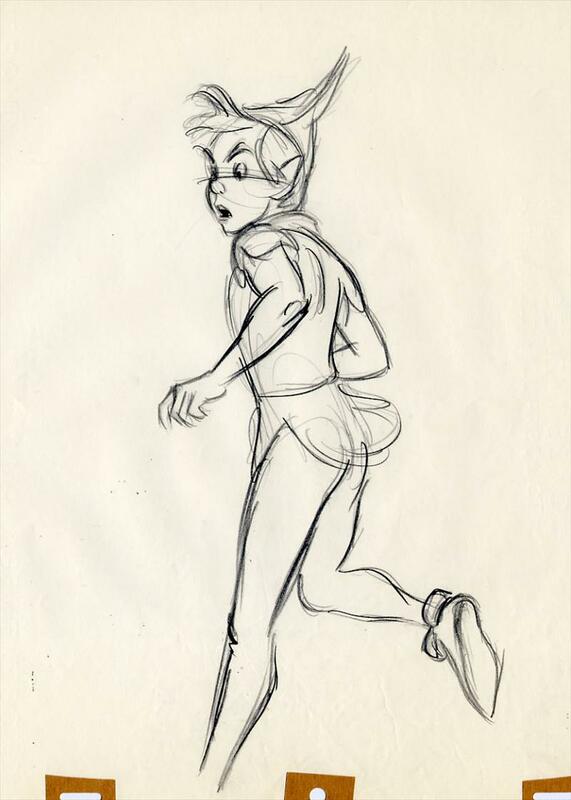 The solid draughtsmanship alone with great attention to animatable anatomy made this animator casting obvious. 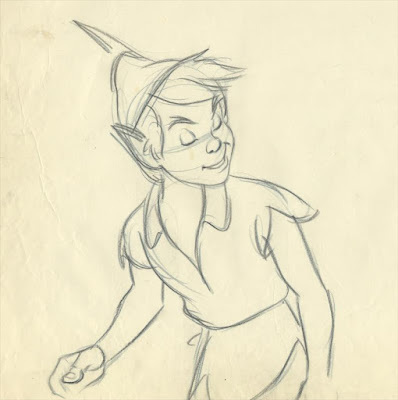 Since there were several animators handling Pan, the original pencil tests revealed him in all kinds of different looks, from cartoony to too muscular. 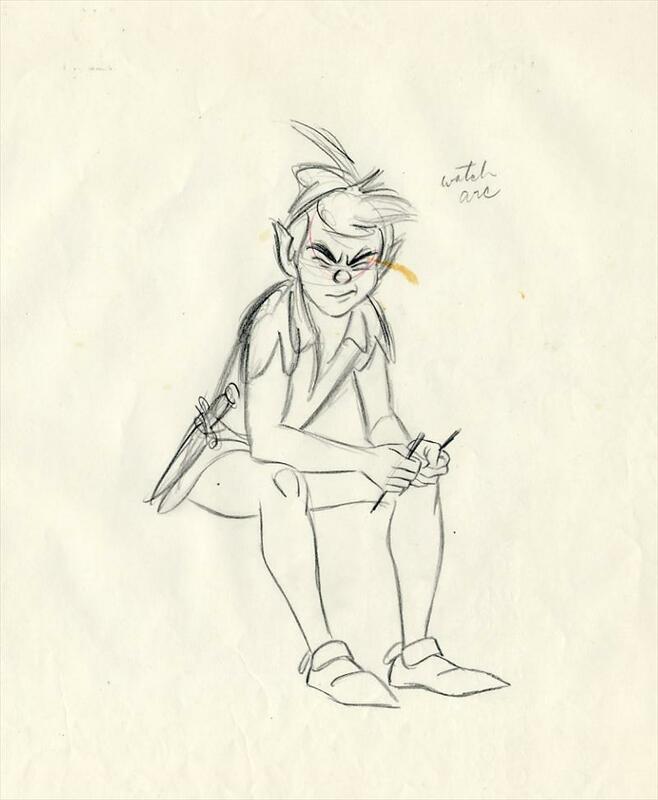 After Milt hit the roof, he then re-drew some of those key drawings so that clean up would have an easier time keeping the character on model. Hal King animated this beautiful scene with John and Michael. Norm Ferguson did some great work on Nana, a curious mix of pet and house maid. 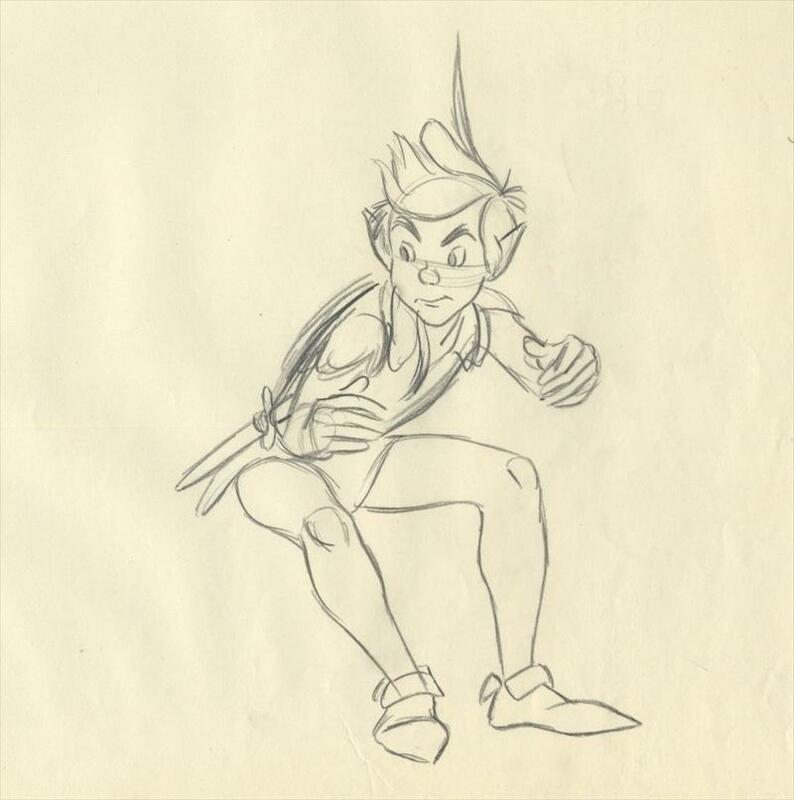 I don't know who came up with these early charming design concepts for some of the The Lost Boys. Ward Kimball drew the final designs for these lively characters, but I don't believe he did any animation on them. 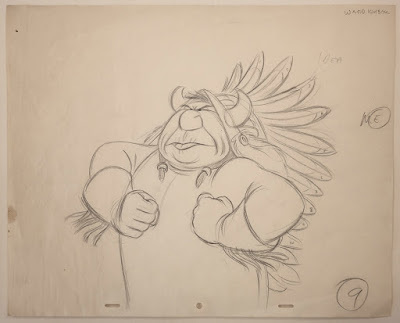 The Indian Chief was Kimball's main contribution to the film. 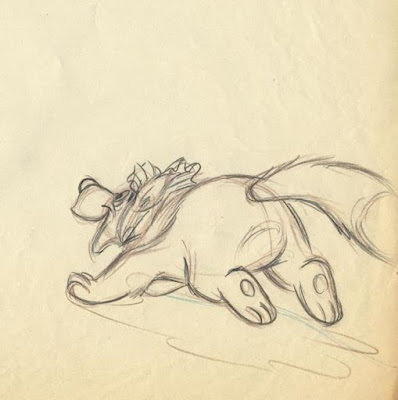 What fantastic animation! 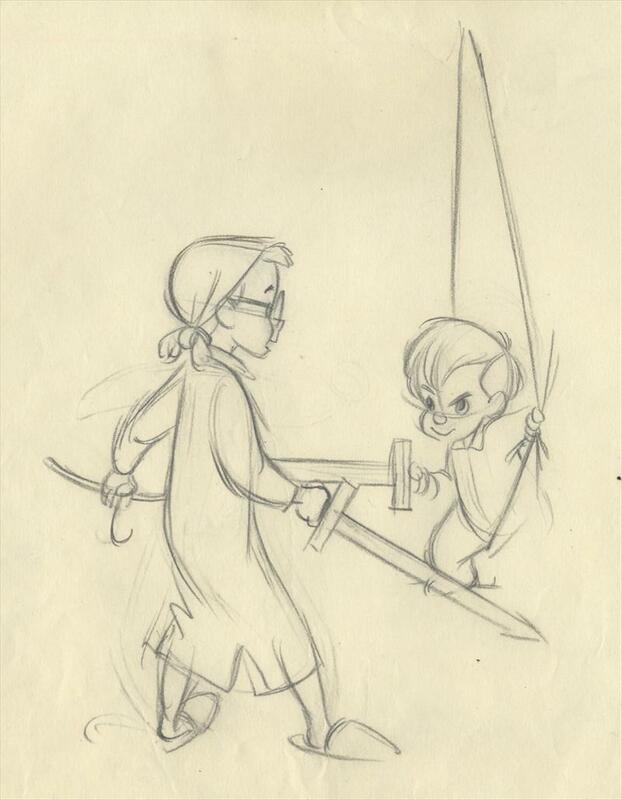 So inventive (as usual). 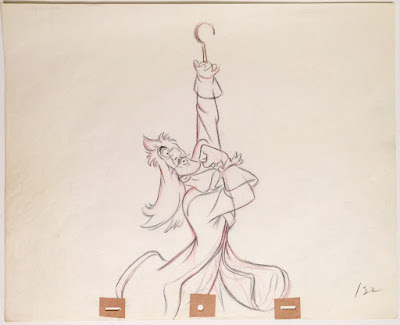 I remember thinking about this character frequently when animating dialogue scenes with Jafar. It's so much fun to come up with weird mouth shapes, as long as they work with the dialogue reading and the character's personality. 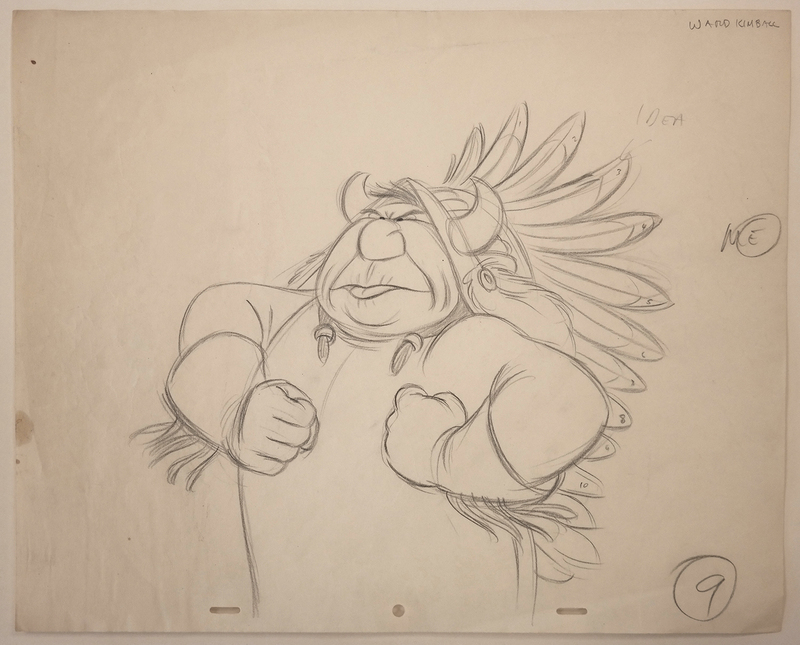 Drawings Howard Lowery, Van Eaton Galleries and Heritage Auctions.